This 5-storey, air-conditioned city hotel with 67 rooms is a 'no frills' establishment. It was designed and conceived for the needs of value-conscious and budget-conscious travellers and visitors. 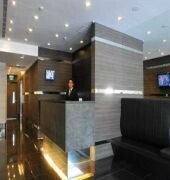 Facilities of the hotel include a lobby area with lift access, which houses the 24-hour reception and check-out service, and where the hotel safe is available for guests' use. Guests arriving by car are welcome to use the basement car parking. The hotel also offers a laundry service, for a fee. The Value Hotel Nice is a Tourist hotel. Located in City Centre area. Shopping is right next door and the nightlife/restaurants are right next to the hotel. 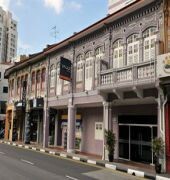 Descriptionclass="small" style="text-align: justify; font-size:11px;">This 5-storey, air-conditioned city hotel with 67 rooms is a 'no frills' establishment. It was designed and conceived for the needs of value-conscious and budget-conscious travellers and visitors. Facilities of the hotel include a lobby area with lift access, which houses the 24-hour reception and check-out service, and where the hotel safe is available for guests' use. Guests arriving by car are welcome to use the basement car parking. The hotel also offers a laundry service, for a fee.